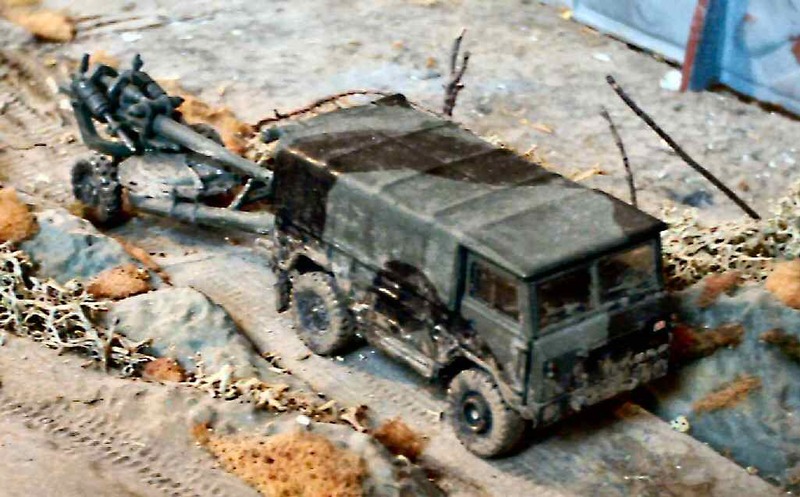 I've always rather liked the look of the 1 tonne Land Rover, and was pleased when JB Models introduced this kit. I was even more pleased when I discovered that the L118 kit contains two light guns, thus enabling one to be built in the transport configuration and the other in its deployed mode. The guns can also be finished as the L119, designed to use US M1 105 mm ammunition. 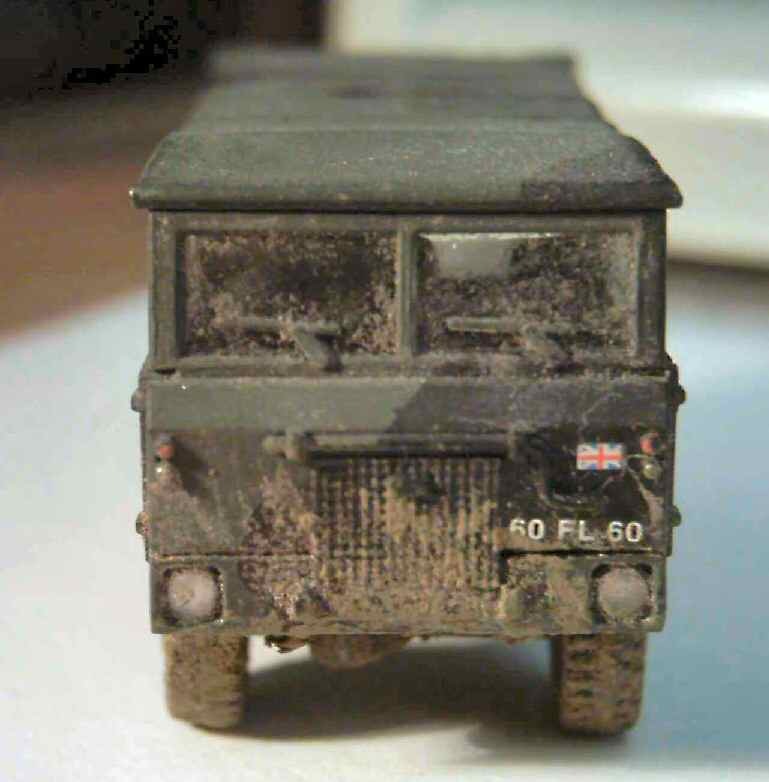 I pre-painted the parts before assembly, and was interested to note that the front of the Land Rover was moulded in one piece in transparent plastic. This had some advantages, as it allowed very realistic headlamps. I painted the back of the moulding silver behind the headlamps and left the lamp lenses clear. Assembly was very straighforward and I think the final model looks good. I did not attempt any super detailing, but I'm sure there is lots that could be achieved by the addition of further detail, as JB's kits are usually fairly basic, but sound. All in all nice models and good choices of subject by JB.